Dev Diary posts are made to teach game development through specific examples from my latest project: Highways & Byways. However, this week is purely an update – educational posts will resume as normal next week. It has been about five months since I first started working on Highways & Byways. Just this last week, a lot of things finally clicked. First things first: I am ready to play-test publicly online. If you are interested in play-testing Highways & Byways, click here to join the Facebook group so you can get notified of the play-testing events. In fact, we’ve already had a few play-test sessions and had a great time! I’m getting some really valuable feedback! In order to play with us, you will need a Steam game called Tabletop Simulator. It does exactly what you’d expect it to. It costs $19.99, or $9.99 if you get lucky and you find it on a Steam sale. 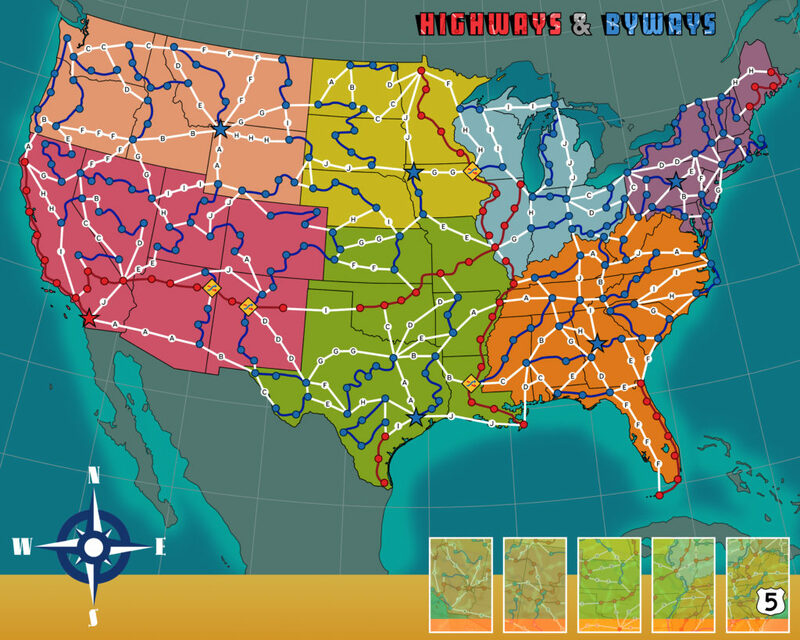 Highways & Byways is a 2-4 player game that takes around an hour. It’s fairly lightweight and it’s the kind of game you can play with people at a casual game night or with people who never play games at all. It’s a game that includes and does not intimidate. The whole point of the game is to take an epic road trip. It’s essentially a race game. The objective is to drive all your assigned byways and circle back home before anyone else. 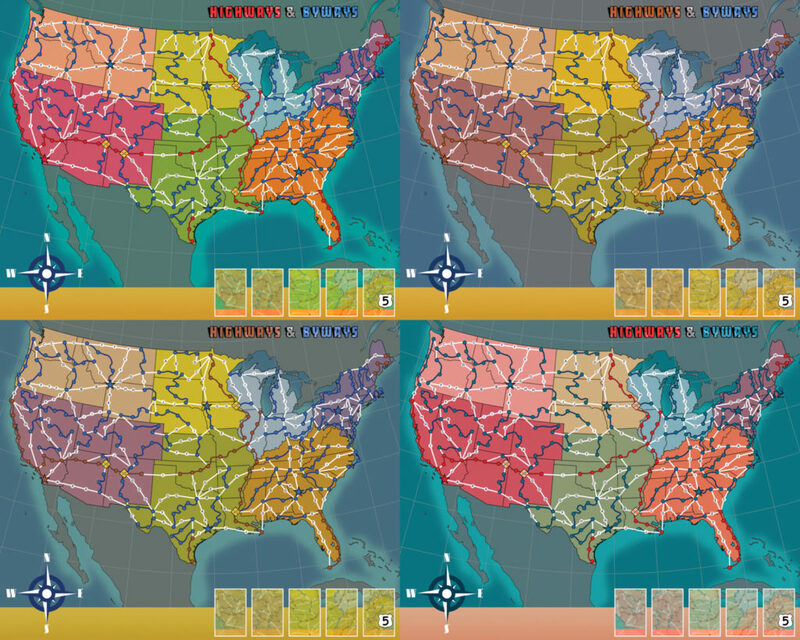 Your route is determined by your byways and each game you get different byways, which are determined by drafting at the beginning of the game. 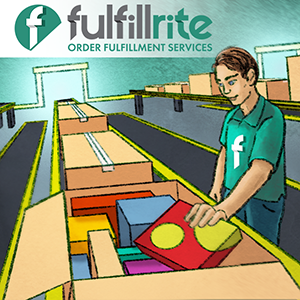 Over the course of the game, events and construction cause you to reroute, think on the fly, and strategize. This is a game that you can play casually and with no real knowledge and still feel like you’re having a good time. It’s also a game that you can really learn the nuances of and become proficient in strategy and counter-play. More on that later, though, since I want to show you what it looks like. James Masino is steadily working on most of the art, but the board itself is done. I’ve shared it below so that you can appreciate the quality of his work. You’ll notice that the state boundary lines are extremely accurate, as James really bumped the lamp to get the right mix of realism and beauty. He’s the only guy I know who pays attention to things like the border irregularity in western Kentucky for a Photoshop layer that winds up being hidden anyway. We’ve worked hard to take 72 real scenic roads and make them communicate well on a board. When printed, the board will be about 25 by 20 inches (or 64 by 51 cm), so each of those circular spaces is large enough to comfortably fit a piece while still keeping the approximate outline of the real roads. 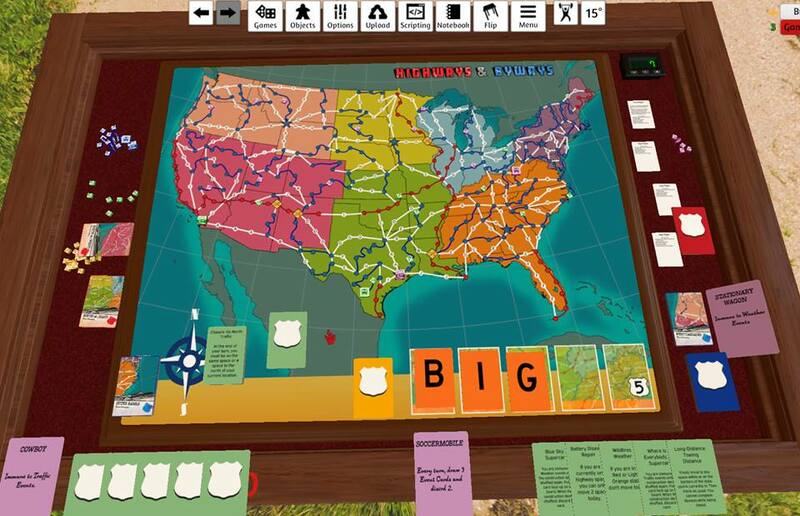 To keep the game nice and accessible, we stripped all text from the board and we instead refer you to locations using Byway Cards like what you see below. 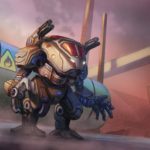 You can find the full rule book online here. The rules still need a little tweaking here and there to truly optimize the game, but what you see there now is basically what it’s going to be like in the box. The first player to drive the entire length of all Byways depicted on their Byway Cards AND return to their Start Space is the winner. Each player selects a Vehicle. Each Vehicle has a special ability. 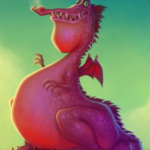 Special abilities grant cars immunity to certain Events or allow for faster movement on the board. Each player will end up with 14 Blue Byway Cards and 2 Red Byway Cards. 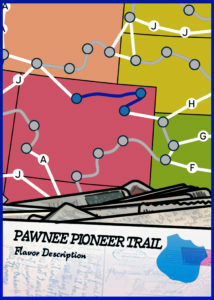 Each player takes a Travel Marker and places it on the Byway depicted on the Byway Card just received. This is so all players can quickly and visually see where they and their opponents will be going in the game. 1. Discard 1 Red Byway Card and remove its Travel Marker from the board. 2. Discard 2 Blue Byway Cards and remove their Travel Markers from the board. At the beginning of every driving round…draw a random Construction Card. Players may not travel on any highway spaces which contain the letter depicted on the construction card. Each player may move up to six (6) spaces per turn. When all 5 Construction Card slots in the bottom right of the board have been filled…each player must pass their Event Card hand to the clockwise player. Quite a bit, actually. I need to do tons and tons of play-testing with people from around the world. There is still quite a bit of art that needs to be created. Of course, I’ll want to raise funds on Kickstarter for the manufacturing process. Then I need to figure out how to sell the game afterward. If I had to give you an estimate on when I think the Kickstarter campaign would be, I’d say “first quarter of 2018.” Don’t pin me to that yet, though! It’s my very good pleasure to share all these updates at once with you. If you’d like to get involved, I’d once again like to direct your attention to the Highways & Byways Facebook group. Sign up there, because that’s how we’ll coordinate games going forward. That’s all I’ve got today. Time to get this show on the road!